We always love a chance for a member of our team to have a seat at the table. Last week that was quite literally the case when Three Sixty’s Emmy Martin Sorrells was on stage at the 2018 Alabama Center for Real Estate’s Residential Flash Forward 2018 conference for a panel discussion on the future of real estate and how to enhance productivity through emerging technologies. Emmy was joined by real estate experts Glenn Phillips, Lake Homes Realty; Jason Will, Jason Will Real Estate; and Mandy Lynn from the Alabama Real Estate Commission. 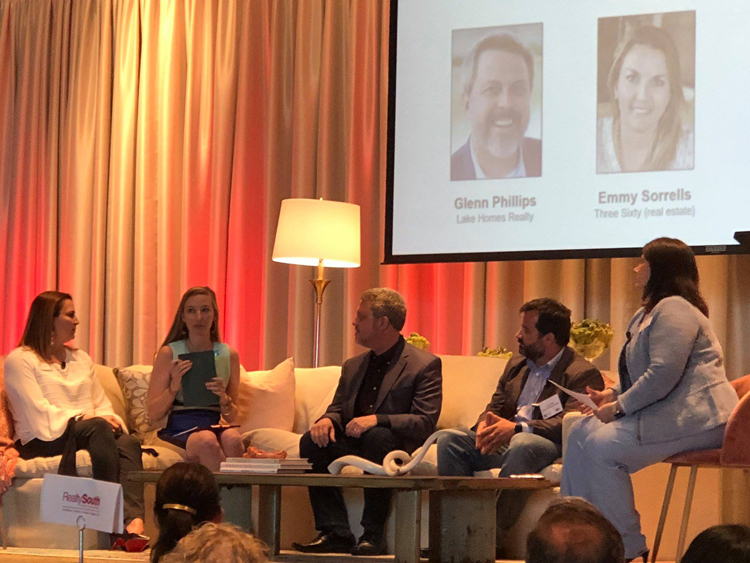 As a successful real estate professional in a thriving market with years of experience, Emmy’s perspective on the discussion focused on transaction management – the “boots on the ground” of what REALTORS® do every day and how technology can help agents maximize productivity. Whether it be via apps, such as Dotloop or Dropbox, or use of new technologies, such as the Matterport 3D camera for virtual tours, the rapidly evolving landscape of technological advances are having a profound impact on agents day to day, and much of that is to their benefit! Glenn Phillips discussed how he operates in a “virtual brokerage” environment. His perspective was directed at how new technologies can be applied when working in a large geographic area virtually. Jason Will is a real estate professional in the Fairhope/Mobile area, and he spoke to his implementation of online training videos and successful leveraging of social media outlets. 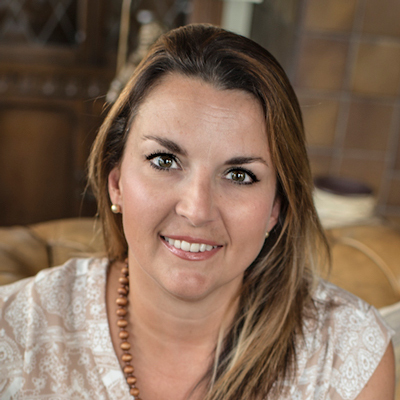 Mandy Lynn’s spoke to the legal requirements involved in social media and advertising, and even gave Three Sixty a “shout out,” praising our use of hashtags to successfully market on social media. Three Sixty has always been an early adopter of cutting edge technology, most recently evidenced by the company’s purchase and utilization of the Matterport camera for 3D virtual tours. Still the only agency in East Alabama to consistently offer this technology to clients, Emmy says that the camera is a real differentiator for the firm – sellers love it because it helps them sell their home faster and is a great keepsake of their previous home. Buyers, especially those coming from out of town, love it because they can really get a feel for a home and make a decision about whether to see it before they are even in the area. « Auburn Chamber Women in Business Luncheon Is a Huge Success!